FREE Redbox Rental From Jolly Time Popcorn! You are here: Home / FREEbies / FREE Redbox Rental From Jolly Time Popcorn! 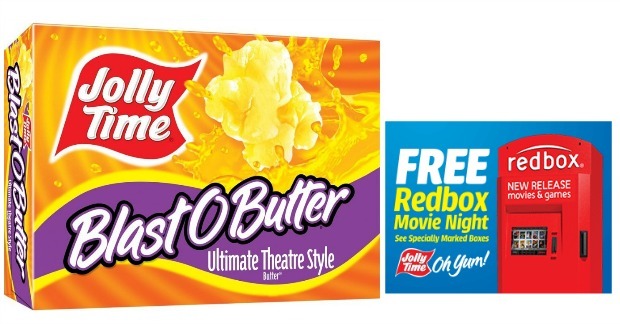 You can get a FREE Redbox rental When You Buy Jolly Time Blast O Butter popcorn! Just look for the specially marked boxes with a picture of Redbox on them! Check here to find a store near you that have them.